I am promoting a pair of grant programs aimed at boosting dairy farming in New York State. Governor Andrew Cuomo recently announced the initiatives, which will double financial incentives for renewable bio-energy projects to reduce electricity costs and help dairy farmers develop plans for expansion and growth. Here in Western New York, farming is an integral part of our economy and our way of life. These grant programs will help our dairy farmers continue to provide top-notch products and create the jobs that our region relies on. I commend Governor Cuomo for stepping up to the plate for our dairy farmers and I encourage our local farmers to explore the benefits these grants can provide. The initiatives include the Anaerobic Digester Biogas-to-Electricity Program (ADG), which will double the maximum incentive amount from $1 million to up to $2 million per installation for farmers to install equipment on their farms that turns organic waste produced by cows into electricity, and the Dairy Acceleration Program (DAP), which will provide grants and coordinate funding and technical programs to help farmers interested in expanding their operations or increasing their efficiency. I am encouraging my constituents to utilize a program providing free filing of both federal and state tax returns. The program, FreeFile, allows individuals who earned less than $57,000 last year to file their tax returns free of charge. More information is available through the Department of Taxation and Finance. With so many families struggling in our current economic climate, every cent we can keep in the pockets of taxpayers is critical. By charging a fee to file taxes, the government is essentially double-billing residents who are already overtaxed. This program alleviates some of the financial burden on our taxpayers and is a beneficial measure that will hopefully lead to similar cost-saving programs in the future. On February 8th Jennalyn Long, a Sennior from Byron-Bergen High School organized a community service event that connected Genesee County students with local and state leaders. The half-day conference engaged students in roundtable discussions and offered opportunities to ask question about politics, leadership, community service and other current topics. As an AmeriCorps representative, Jennalyn spent months planning the event. The months spent resulted in over 60 students from Byron-Bergen, Le Roy and Oakfield-Alabama attending the conference. Jennalyn achieved her goal of enhancing multi-school connections and sharing ideas. 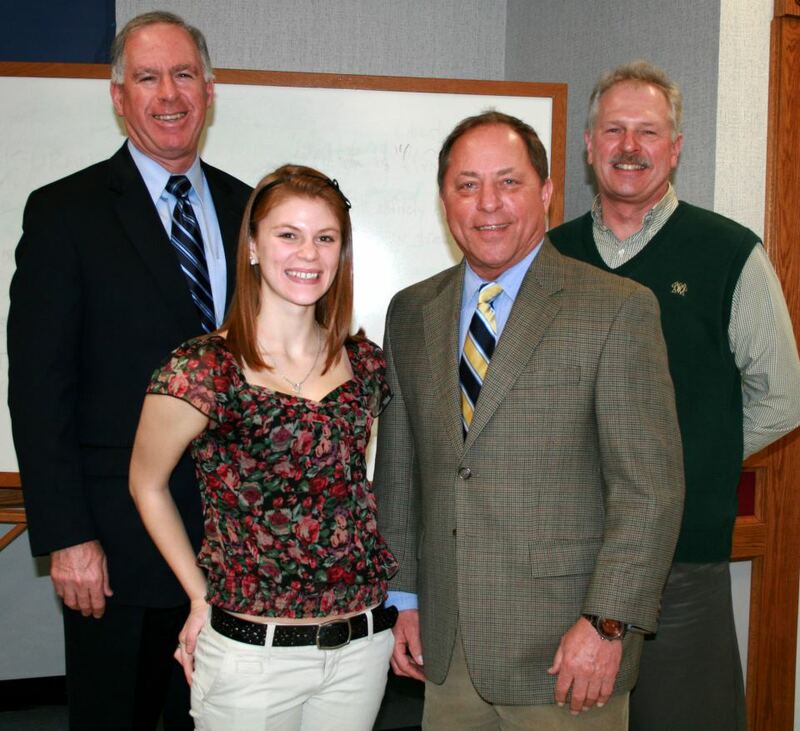 Here I am with State Senator Mike Ranzenhofer, Jennalyn Long and Genesee County Manager Jay A. Gsell. Do you support the division of New York into two separate State? I have been participating in and scheduling future interviews withoutlets such as Capital Tonight on YNN, Talk 1300 Radio and WBEN to garner support for legislation I am sponsoring. Assembly Bill 391 which would allow New Yorkers to make their voices heard by allowing counties to put this question to voters in a non-binding referendum. Most of New York's population is concentrated in the greater New York City area. Due to this, many local families from Upstate and Western New York feel their views and needs are ignored in Albany. Would the people of New York be better represented if New York were split into two separate states?